Bill and I were fortunate enough to be able to experience an amazing interaction with this magnificent species. It is difficult to express the jubilance that I felt during this hour of bliss. These animals are magnificent. Bill and I have had many varied adventures all over the world in our travels. This one is at the top of the list. Although there are mixed feelings about the nature of this program I do not have any! In a perfect world there would be an abundance of money flowing into the survival of the lion species and many others, as well. However, this is not a perfect world. This adventure brings to light the plight of the lions as well as many other species in Africa and around the world. Our walk was done with grace and care both for the lions' well being and ours. It is an experience that I will remember for my lifetime. I feel fortunate to have been able to contribute, if only in this small way. Thank you Lion Encounter, for this opportunity! 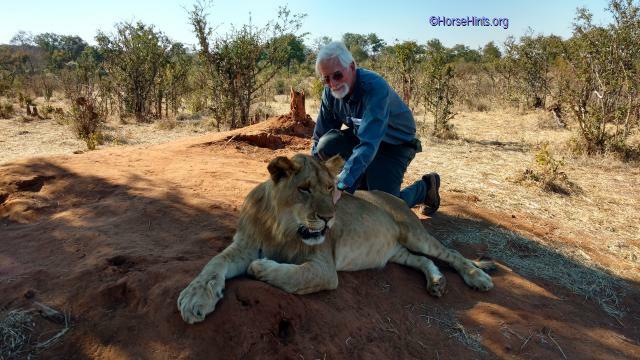 What is the Lion Encounter aka Walk with the Lions? 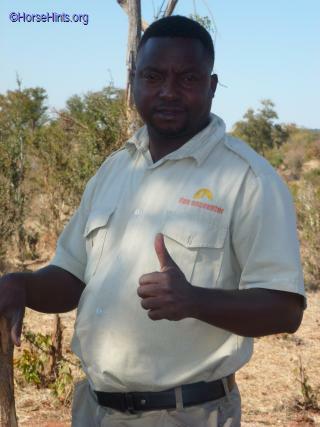 "Lion Encounter is an active conservation program that is passionate about ensuring a secure future for the African lion. The species has seen an 80-90% decline in the past 20-30 years and we are Africa's first genuine program to ethically re-introduce the offspring of captive-bred African lions back into the wild. 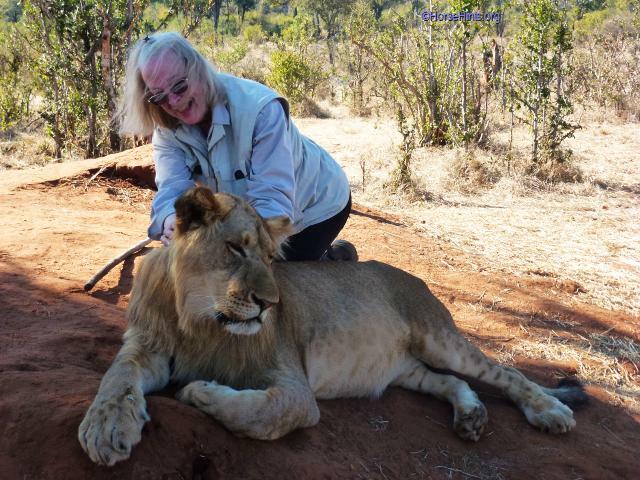 Lion Encounter offers people the chance to walk with this magnificent species, or volunteer with us and actively contribute to our efforts, to save the African Lion. ..."